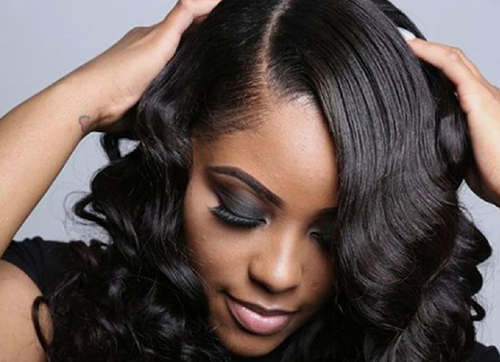 The Weave Express offers the finest quality 100% human Brazilian hair extensions for discerning customers who expect the best! We understand our customers want long lasting gorgeous hair which is why we offer retail and wholesale quantities of the product you deserve. Q: What is the difference between Brazilian Hair & Indian Hair? Q: How many ounces are in a bundle? Q: Why are the wefts different lengths? Q: How many bundles do I need for a fuller head? Q: Can the hair be straightened? A: Yes, the hair can also be set, curled, and straightened. A: Yes, if you use a professional that we refer, we will exchange hair if it is damaged when dyed. Q: Why does the hair have an odor? A: The hair is treated then shipped to the U.S. then shampooed to help eliminate the odor. Q: Does the wave pattern return once hair is straightened? A: Yes, however keep in mind that the more the hair is pressed, the less wave you will have.